unRAID NAS software has some very impressive plugins that enable your media server to to serve all your media files with their meta data information and live TV stream on any device such as HTPC, iPad, Apple TV or Raspberry Pi. The objective of this guide is to help you to set up Lime-Technology’s unRAID Network Attached Storage and install Plex Media Server and Tvheadend TV server into to it. After completing this practical tutorial, you will have an ultimate media server to serve and transcode media files and also provide live TV stream to other devices. To complete this tutorial, you will need the following hardware and software. If you put a little bit effort into component selection, you can build a NAS which is as quiet and energy efficient as any commercial solution. You should have at least 1.6 GHz processor to run a media server. If you wish to transcode 1080p HD video with Plex Media Server, you will need at least 2.4 GHz dual processor. You will need at least 512 MB of RAM, but 2 GB is recommended for transcoding. You should also make sure that you have a gigabit Ethernet-router, because otherwise the data transfer will be too slow for large HD video streams. I tested the unRAID with 1.6 MHz Intel Atom dual core and 3.1 MHz Intel Core i3-2105 processors. I can confirm that the 1.6 MHz was sufficient for normal NAS operations and Tvheadend TV server, but video transcoding was too choppy. Intel Core i3 setup is perhaps an ideal one, because it provided enough performance with low power consumption and affordable price compared to commercial NAS solutions such as Synology DS411+. I used Western Digital Caviar Green 2 TB hard drives in the test systems. 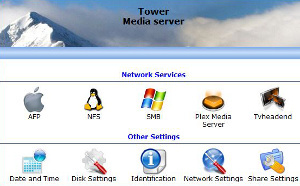 unRAID software is designed to be used as a media server and it is easy to set up. It offers true RAID redundancy, which means that if one hard drive fails, you can easily replace it and the server will rebuild the failed drive without any data loss. Another nice feature is “User Shares”, which means that you can store your movies to multiple HDDs and thanks to user share feature, all the movies will show as one shared drive on any other computer. Perhaps the most interesting feature is the ability to add community developed plugins into the software. Let’s have a look at two useful applications that you can install as plugins: Plex and Tvheadend. Plex Media Server is a back-end media server component of Plex, which is a popular media center software. 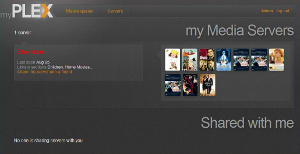 There is also XBMC add-on called PleXBMC, which allows you to stream media from your server. The advantage of Plex is that it has great media library management and transcoding capabilities, which allows you to stream your movies from almost any portable device, media streamer, smart TV or HTPC. You can even watch movies when you are on the road with the myPlex service. For example, when I was on a holiday trip, I was able to watch movies with my iPad from my home media server. Tvheadend is a TV streaming server for Linux operating systems. You can install it to unRAID as a plugin. Tvheadend supports DVB-S, DVB-S2, DVB-C, DVB-T, ATSC, IPTV and analog video as input sources. I have written a guide earlier about how to use Tvheadend with OpenELEC XBMC Linux. The advantage of having a TV server instead a tuner card inside a HTPC is the flexibility and the ability to stream live TV to multiple devices (even at the same time). For example, I’m able to watch live TV on my iPad (jailbroken with XBMC installed), while my wife watches her recorded TV shows with my main HTPC and my kids watch their favorite cartoons with Raspberry Pi. So, are you ready to build your own ultimate media server? Let’s get started! 1. Download the latest version of the unRAID NAS here. 3. Format USB stick and label as UNRAID. 4. Copy the contents of the zip file to USB stick. 5. In Windows, right hand click make_bootable.bat and run as administrator. 6. Once the script runs, it asks you to click any key and you are done. 7. Now, unplug the USB stick and plug it in to the computer where you want to install unRAID OS. 8. Make sure from the BIOS settings that the boot order is so that the computer boots first to USB stick. 9. Press enter to load the unRAID OS. 13. To setup hard drives, go to “Main menu” and click “unassigned identification” to select the drives. After selecting the hard drives, press the start button. 14. Next, the unRAID asks to format the drives, so tick “Yes I want to do this” and click “Format”. 15. Once the formatting is completed, go to “Users” to create a new user. 16. To install Plex Media Server and TVheadend turn off the system and plug the USB stick back to Windows computer. 17. Download the Plex Media Server and TVheadend plg files from unRAID plugins page. 18. Create /config/plugins directory into the USB stick and copy plg files there. 27. Change “Enable Tvheadend” as “Yes”; the default user name is admin and password is admin and they can be changed from the advanced settings. Make sure that you have created user permissions from the “Users” tab for the Tvheadend user. 31. Click “Add DVB Network by Location”. If you don’t find your DVB network location, you will need to search your local TV provider’s multiplex information from the Internet and then go to “Configuration” > “TV Adapters” > “Multiplexes” > “Add mux(es) manually”. 32. Wait for “Muxes awaiting initial scan” to become 0 and then click “Map DVB services to channels”. Now, you have successfully installed and configured Tvheadend. 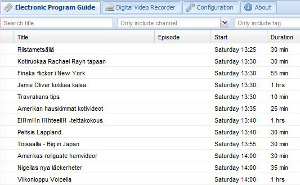 Follow this guide to add DVB stream to XBMC. 36. Now, go to http://tower:32400/manage/index.html to manage your media files with the Media Manager. Finally, follow this guide to stream media files to Kodi using Plex for Kodi add-on. In this practical tutorial, you have learned how to install unRAID NAS software and configure Tvheadend and Plex Media Servers to store and stream media files and live TV to any supported device on your home network.